The injury to Iwobi's fellow forward overshadowed a frustrating night at home for the Gunners. Alex Iwobi has spoken about the mental challenge he and his teammates faced after Danny Welbeck left the Emirates pitch on a stretcher during Thursday nights 0-0 draw with Sporting Lisbon. The English forward landed awkwardly after winning a header in the Sporting penalty area, and was given oxygen before being carried off to chants of his name from the Arsenal supporters. The injury was difficult to see on replays, but the severity was clear from the reactions of Welbeck’s teammates. “It’s very challenging mentally, but sometimes it comes in the game and there’s been a lot of injuries, and unfortunately for Danny he’s had a few so we’re going to wish him the best,” Iwobi said after the game. “Both sets of teams were mentally challenged and we were able to continue with the game, but like I said, we wish him all the best and we will keep on encouraging and motivating him to get back," the winger added. This draw was only the second time this season that Arsenal had failed to find the net, the other coming on the opening day of the season against Manchester City. As it seemed the game was destined to end goalless, Pierre-Emerick Aubameyang, who came on for Welbeck, was put through on goal after a missed placed pass from the visitors with just three minutes of normal time to go. Unfortunately for the home side Sporting defender Jeremy Mathieu brought down the Arsenal striker before he could get his shot away and handed a red card. 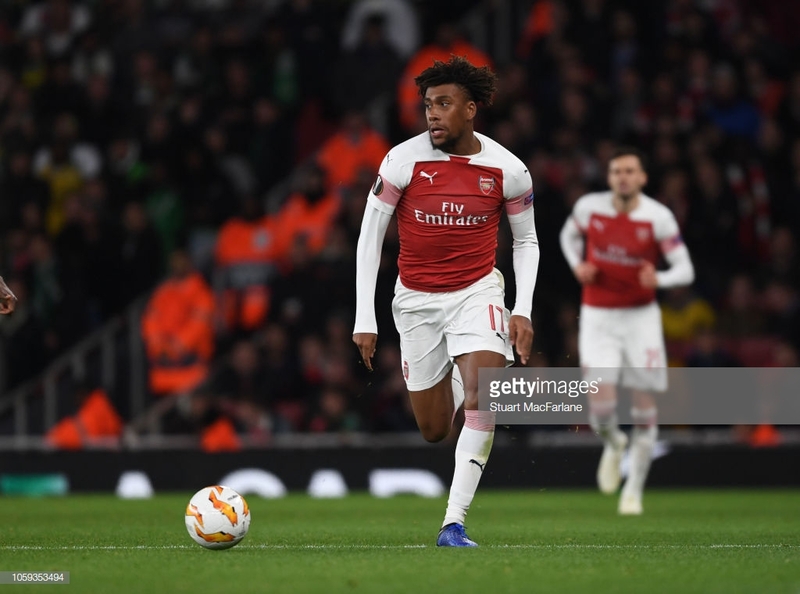 “It’s a bit sad, especially when you’re seeing Pierre running and he’s so fast that we knew he was going to get there, but I guess it was a smart challenge from Mathieu, but it was unfortunate for us and we were unable to get the goal," Iwobi asserted. Next up for the Gunners is the visit of Wolves at the Emirates on Sunday, and Unai Emery’s men will be hoping to end their current run of three draws in a row whilst also extending their unbeaten run to 16 games. “We will go again and start analysing Wolves and that’s not going to be an easy game because they’ve been doing well this season, so onto the next one." he concluded.